Arthritis is a general term covering numerous conditions where the joint surface or cartilage wears out. 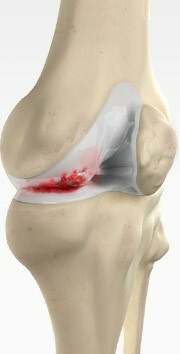 The joint surface is covered by a smooth articular surface that allows pain free movement in the joint. This surface can wear out for several reasons; of ten the definite cause is not known. There are numerous conditions that can cause arthritis but of ten the exact cause is never known. In general, but not always, it affects people as they get older (Osteoarthritis).